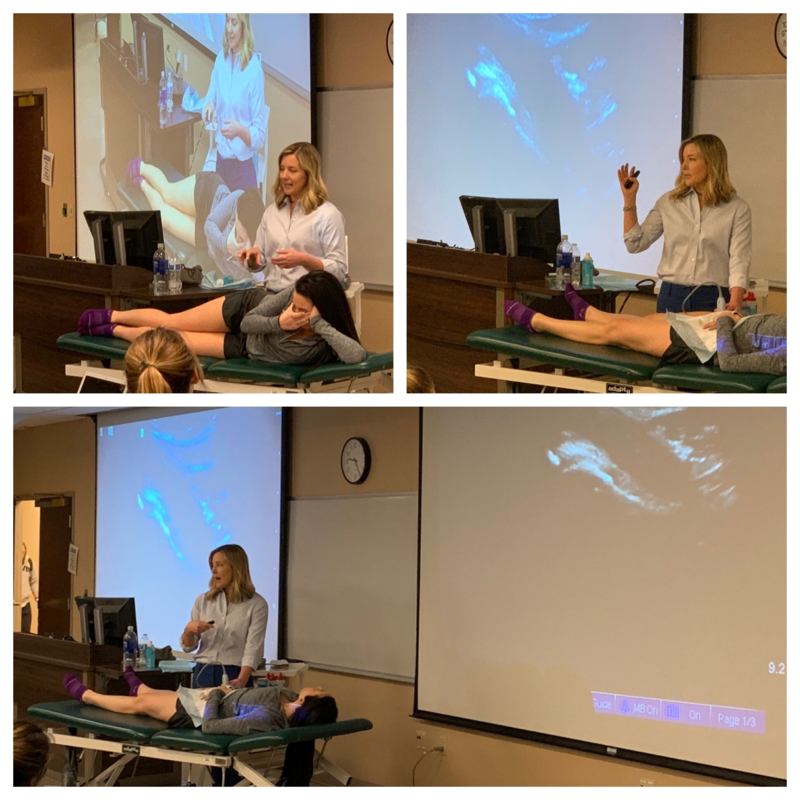 Belmont University physical therapy students recently participated in a lecture on ultrasound examination of the hip and the use of ultrasound guided injections by Beth Bardowski NP, a world renowned ultrasonographer from the Nashville Hip Institute. Bardowski is a sought out clinician/educator that has taught numerous diagnostic ultrasound courses to surgeons from around the world. While at Belmont, she guided the students through the anatomy of the hip and demonstrated how the diagnostic ultrasound is used in both the assessment of the hip as well as the follow-up treatment of various hip dysfunction.